Cultural Front: Does the Pulitzer award for poetry favor "younger" black poets? Does the Pulitzer award for poetry favor "younger" black poets? 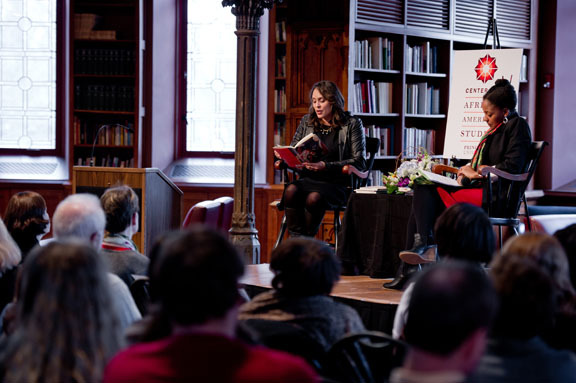 When Natasha Trethewey and Tracy K. Smith won the Pulitzer Prizes for Poetry in 2007 and 2012, respectively, commentators made a point of noting that the poets were "young." Later when Trethewey was appointed as U.S. Poet Laureate, the coverage noted that she was "among the youngest" to hold the position. As I looked over the birth years of winners of the Pulitzer since 1990 though, I wondered about the absence of older black poets in comparison to their white counterparts. The winners of the Pulitzer have been primarily been over the age of 50, and in fact, many have been over the age of 60. Thus, it is quite unusual when poets are 41 and 40 as Trethewey and Smith were when they won. Even at about age 47 in 1994, Komunyakaa was a "young" Pulitzer winner. By the way, Rita Dove was about 35 when she won the Pulitzer in 1987, and Gwendolyn Brooks was 32 when she won the award in 1950. But what about the many African American poets above the age of 50? What obstacles have prevented more of them from becoming winners of the Pulitzer? Or, what advantages have "younger" poets had that have assisted them? A while back, I wrote that poets born during the late 1920s and early 1940s have enjoyed uncommon popularity as poets. However, that popularity has not translated into one of the most notable poetry awards, the Pulitzer.